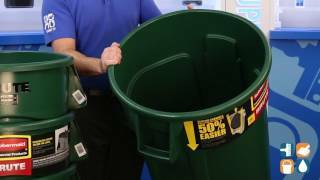 Seamless, polyethylene construction won't dent, rust or leak. Reinforced rim and base. Leakproof. 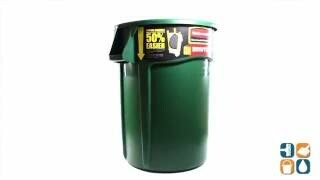 Waste Receptacle Type: Waste Disposal; Material(s): Polyethylene; Application: General Waste; Capacity (Volume): 44 gal.